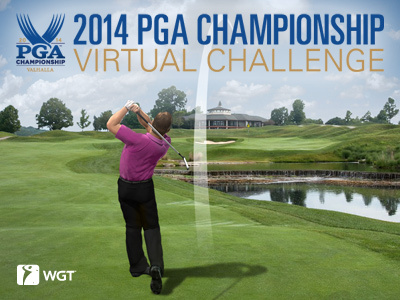 We're excited to announce the lucky WGT sweepstakes winners from the 2014 Virtual U.S. Open. These players all won not because of their scores, but because they were selected at random as winners in each of these tournaments. You have to enter to win! Grand Prize: Trip for two to the 2015 U.S. Open at Chambers Bay, including airfare, hotel and tickets to attend the tournament as special guests of the USGA. 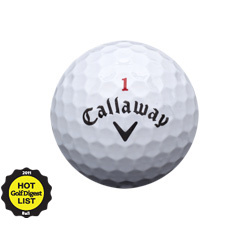 Plus, a $500 gift card to USGAshop.com. A member since 2011, this Level 48 Pro player is now also a Virtual U.S. Open grand prize winner and will be taking a friend to next year's U.S. Open at Chambers Bay. Selected at random, all huskerhammer had to do to win was play in the Virtual U.S. Open Qualifier tournament to enter the sweepstakes. Enjoy Chambers Bay, and be sure to let us know how your trip goes, we'd love to feature you on the blog! *Note, winners must be from eligible countries and states to be awarded prizes. See tournament rules for eligibility. The newest stroke play course on WGT is now available to play in fast, fun Ready-Go tournaments. 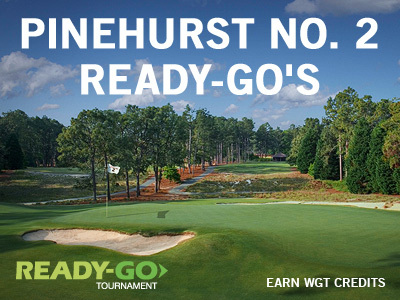 Experience Pinehurst No. 2, host of the 2014 U.S. Open Championships, and join a paid Ready-Go to compete against other WGT players for WGT Credits. The top 30 of 50 scores earn credits, which you can use to upgrade your equipment, enter other paid tournaments, or compete directly against other players for credits. 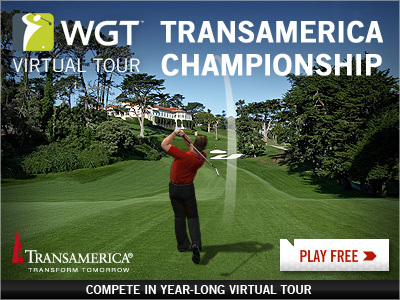 Be sure to post your Transamerica Championship Round 1 score by 7/26 to qualify for Round 2. This is the second Major event in the 2014 Virtual Tour, so it's a great opportunity to earn even more credits from the huge 400,000 purse and move up the year-long standings. Continue accumulating credits with each monthly event to qualify for the Virtual Tour Championship in December with a record one million credit purse! Today is Play 9 Day and we've joined the USGA to celebrate the new initiative today, 7/23. The USGA recently launched the Play 9 program to encourage golfers everywhere to fit golf into their busy lifestyles with a quick, 9-hole round. So today, we invite you to get out and play a 9-hole round at your local golf facility, or virtually online with Play 9 Speed Brackets on WGT. 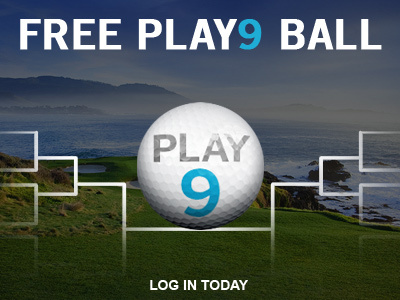 Plus, as a special bonus we're giving everyone who logs into WGT today a free Play 9 virtual golf ball to celebrate. To learn more about the Play 9 program, click here. 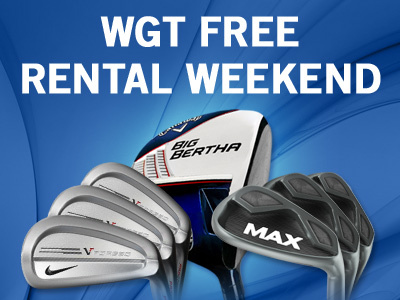 Get free virtual club rentals on WGT this Saturday and Sunday during The Open Championship. 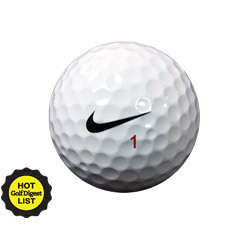 While you're following the action at Royal Liverpool, play the popular new Big Bertha and X2 Hot woods from Callaway, the Nike Covert 2.0 driver and VRS irons, the latest PING Anser putters, MAX Spin wedges, or any other virtual clubs you've been dying to try – all free! Find the club you want and click the RENT or TRY ME buttons and it's yours free for 24 hours. You can rent and re-rent as many clubs as you want for free, Sat-Sun 7/19-7/20. 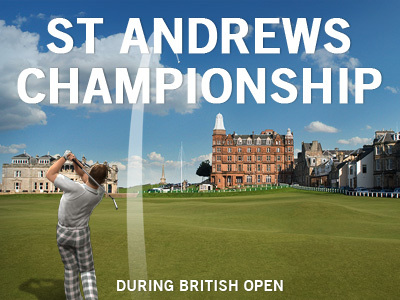 While you're watching The Open Championship this week, play the St Andrews Championship on WGT. The Old Course at St Andrews is the birthplace of golf and has hosted the most Open Championships, last time in 2010 won by Louis Oosthuizen, and again next year in 2015. Compete against other WGT players in your same tier in this free two-round tournament, for a 200,000 total credit purse. Post your Round 1 score by Fri 7/18 and then play Round 2 over the weekend 7/19-20. 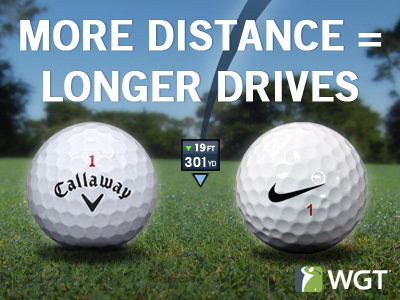 Both rounds are unlimited play so you can post your best score. 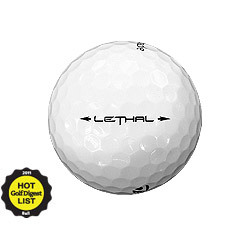 Premium golf balls add distance to your WGT shots. Nothing feels better than booming a drive down the fairway, cutting a corner, or getting a long second shot onto the green. It's the middle of the final round of the 2014 Virtual U.S. Open Championship, and it’s WGT player poldimaier (Germany) who's currently in the lead, among 253 top WGT players competing for this year's title. A Level 104 Tour Legend from the Aphrodite country club, poldimaier shot steady scores of 55-61-56-56 for a 228, and is 3 shots ahead in the clubhouse, which includes fmagnets (UK) 231, rowlets (USA) 232, bhoese (USA) 233, and three players all at 234, ESTIENNE (South Africa), bigddogg19 (USA) and dansamcam (USA). Here is some action from the championship rounds, watch AgentBrown123 (USA) from the Aphrodite Country Club with a tricky bunker shot on the 15th Hole.